Here We Provide You Pdf Files Study Material of Gujarati Vyakaran Grammar pdf. These Gujarati Study Material include Alankar, Samas, Sandhi. We Cover Only Such Important Topics Which Question Have Been Repeatedly Asked In The Competitive Exam. 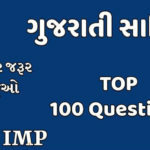 The Gujarati Vyakaran Materials pdf is useful for GPSC or class 3 level Prelims exam and main competitive exam like Talati, GSSSB, SSC Clerk, Police Constable, Tet, Tat, Bin-sachivalay clerk, junior clerk, mukhya sevika, etc. 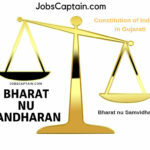 For Latest Jobs Updates and Gujarati Material, please join our WhatsApp Group. for join our group type ‘Name‘ and send to +91 7878101034 WhatsApp. Thank You Friends for Support, We have Cross Daily 1500+ Users in Jobs Captain, Keep Supporting and share with your friends.